Michael J. 'Jay' Cochran: I killed a man who I hated today. 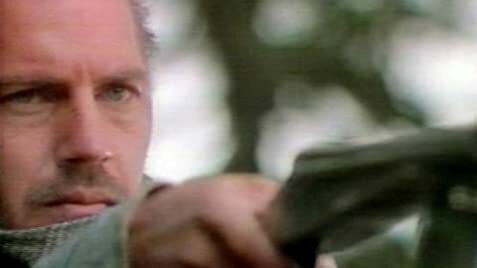 'Revenge'(1990) Hot shot fighter pilot(Kevin Costner) leaves the service and heads to Mexico for a little fun and sun and stays at the home of an old friend, who just happens to be a ruthless drug lord (played by the legendary Anthony Quinn). Costner falls for Quinns younger, knock out wife,( the gorgeous Madeleine Stowe) and the two end up making love and that turns out to be a decision they will both regret once Quinn learns of it. Not a bad movie,Costner is wooden as always, but he and Stowe are easy to look at. However ,the pace could be better and the "revenge" part of the film is a little tough to endure. Violent film with a truly sad ending.